The grass isn't always greener on the other side, but the fishing is often better. 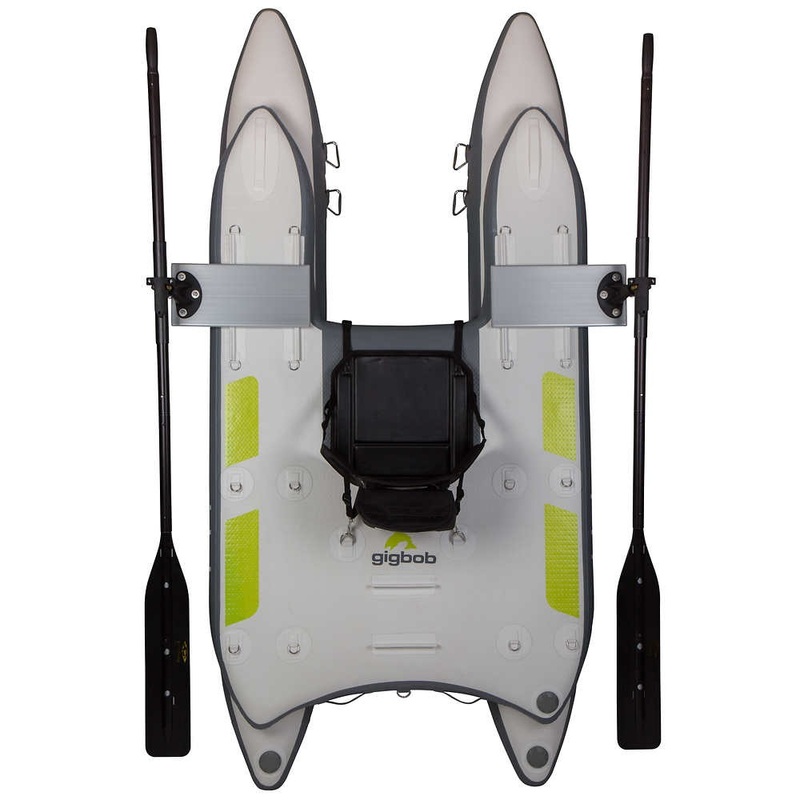 The frameless, ingenious GigBob gives you the freedom to stalk the far bank, anytime, anywhere. Compact and easy to store, it will ride without complaint in the back of the pickup, or even the trunk of a car. 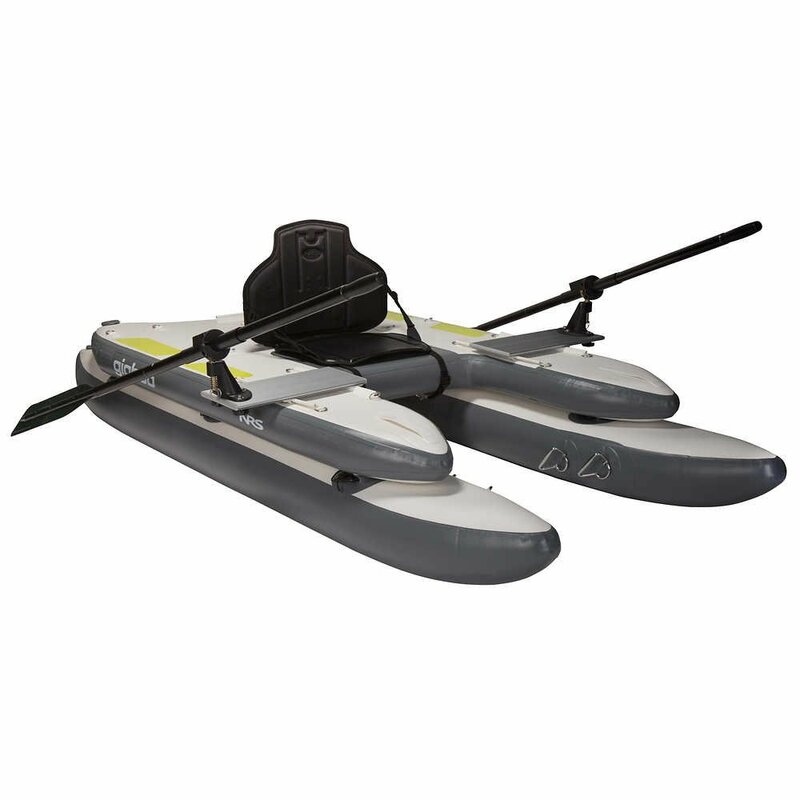 It assembles in minutes to transport you and your rod to where the fish are, and the crowds are not. Frameless inflatable design rolls up compactly for easy transport and storage and assembles in minutes. 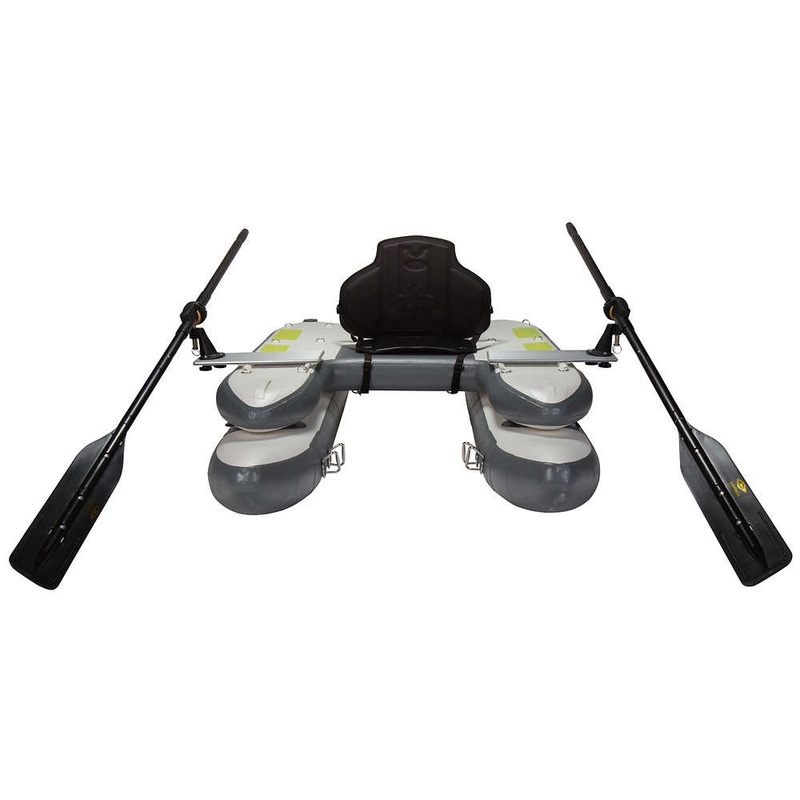 Mount the oars to row technical streams with confidence, or remove the oars and pontoons to use it as a kickboat. 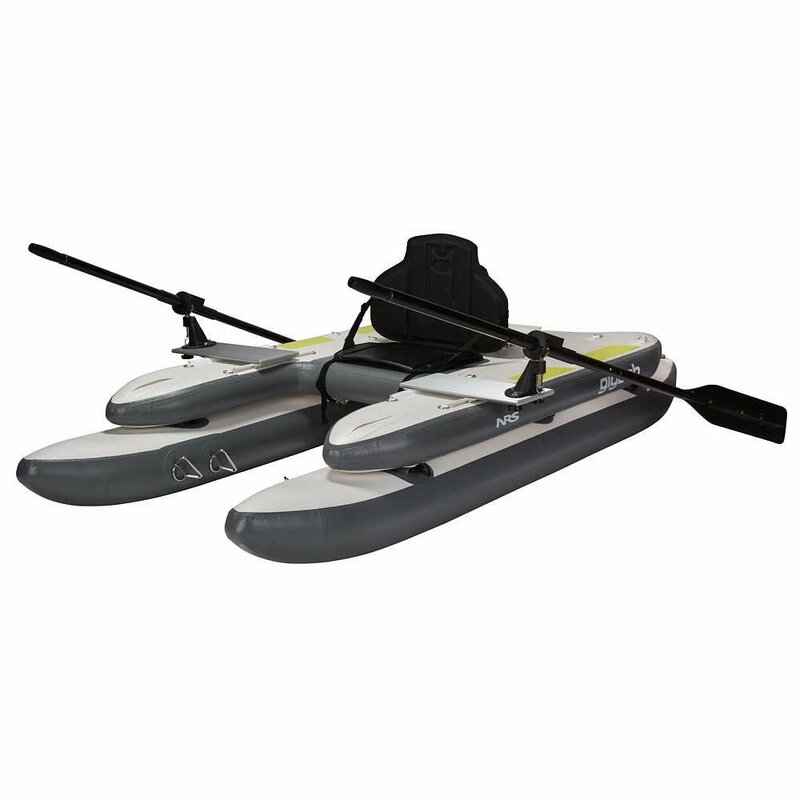 Inflate to 4-6 psi for a rigid platform that gives far superior flatwater and whitewater performance than other pontoon boats. 15-square-foot deck gives you a wide, stable platform for carrying supplies and standing to cast in calm water. Heavy-duty PVC material stands up to years of use in rugged environments. 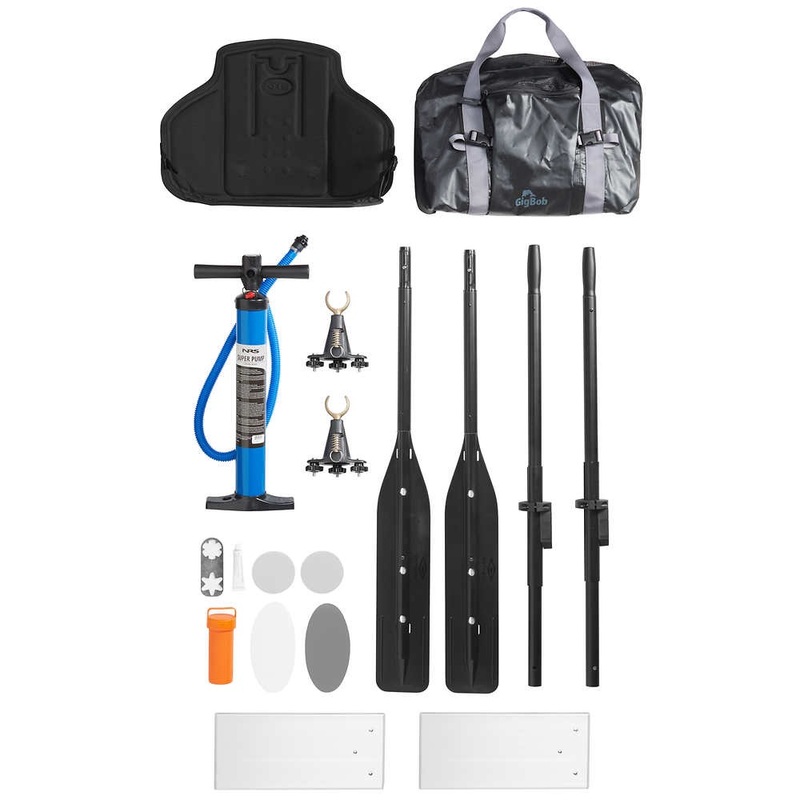 Includes carry bag, breakdown oars, seat, high-pressure pump and repair kit. 3 year retail warranty, 3 year commercial. In Storage Bag: 21" x 30" x 14"